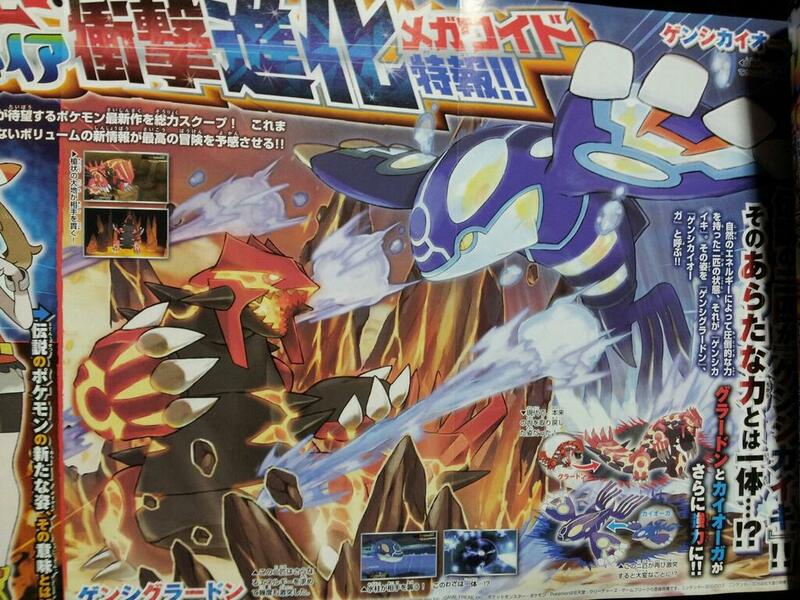 Some Pokemon news was release a few days ago for their new games. First, we will start with Pokemon Art Academy. This game will have over 100 Pokemon in it's free draw mode! You can basically use any method you want to draw and color in your favorite Pokemon characters! I personally don't think I will be getting this game because I can draw Pokemon pretty good with a pencil and piece of paper. Here is the first english trailer! Hope you enjoy the British Accent of the narrator! This game will release on June 19th in Japan, July 4th in Europe, and Autumn in America. 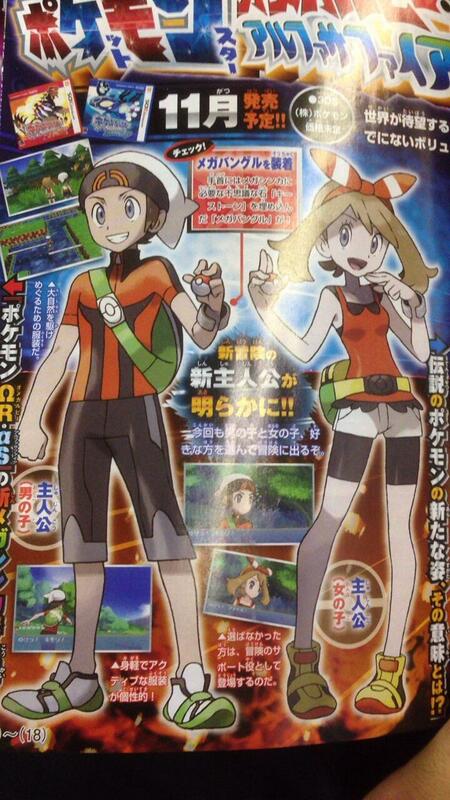 Next up, are the trainers! I think it is more of a step down than up. Brendan creeps and out and May is wearing a tank top and yoga pants... I would say, please bring back the old designs! Now, to talk about what's going on with Kyogre and Groudon! Why are they glowing and have yellow eyes? Well, according to Gamefreak, it is Prehistoric evolution, also known as devolution. First Mega Evolution now devolution?! This is getting interesting. I would like to see how this works. Will the fossil Pokemon get this devolution too? Here is a pretty cool picture of our two legendary friends in there new form! Lastly, but not least, are Team Magma, Team Aqua, and Stevan! These two teams make a return with new designs that I really like. I am on Team Magma's side. I can't deny their cool hoods! Stevan has made a return! We are not sure if he is the champion, or is it Wallace. The mystery will come out sooner or later! Story/Concept: Well, there really is no story in this game. This game is a rhythmic music game. Your goal is to hit the correct buttons while listening to Vocaloid. There are six different vocaloids that can be placed into any song. Buy costumes, earn Diva Points, mess with your vocaloids in the Diva Room, make your own videos, and take photos with your vocaloids. Gameplay: Like a mentioned above, you have to hit the correct notes at the right times. If you miss to many, you drop out. It has some good music in it! And, that's pretty much the core of the gameplay. Over two hours of gameplay content to enjoy! Thoughts/Comments: Despite not having much to do in the game, it is quite fun and addicting. I mostly watch someone else play it, but you have to make it fun to be fun. Make creative little stories with your vocaloids. My favorite vocaloid has to be Rin, one of the two yellow twins. It's an alright game, in my opinion. You need to know what you are getting into to enjoy it, however. And, it is definitely a girl game. A guy would not really like the game, I believe. Nerdy Thoughts: This game has stunning graphics that will take your breath away. It is flawless in every way. Good job! Story/Concept: Very similar to Samurai Warriors with the concept. A hearty hack 'n' slash, samurais, and each story connects with each other. Now for the differences. This game explains each character more in detail and you get to know each one more than Samurai Warriors. However, there are way less of them to play. You focus more on the battle of East Vs. West, also known as the Battle of Segikahara. The history isn't that accurate, so you might want to know a good jist of it before playing. The goal is to conquer each character's conflict and faults and rule Japan! 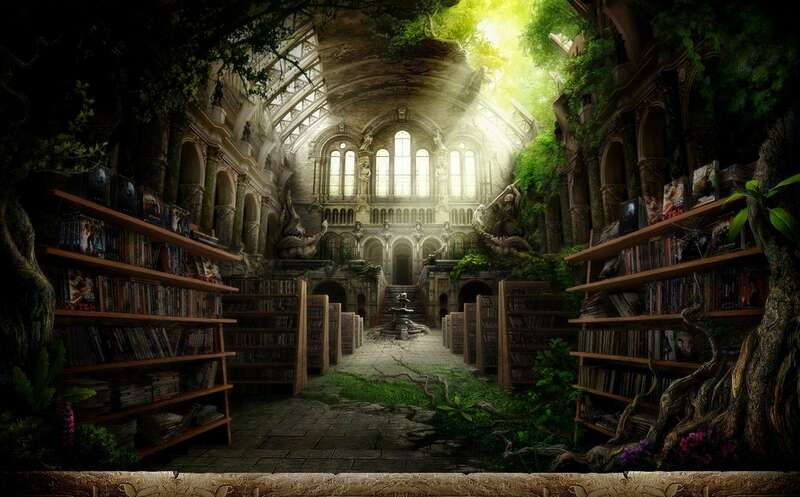 Each character has two stories pertaining to them. There are also accessories, weapons, allies, and garments to equip/change on each character. Gameplay: An arcadey hack 'n' slash. Nothing is really realistic in Sengoku Basara. When you take a camp, an explosion occurs, for example. However, it is so much fun to play. Each character feels different and you press more buttons than just Square. 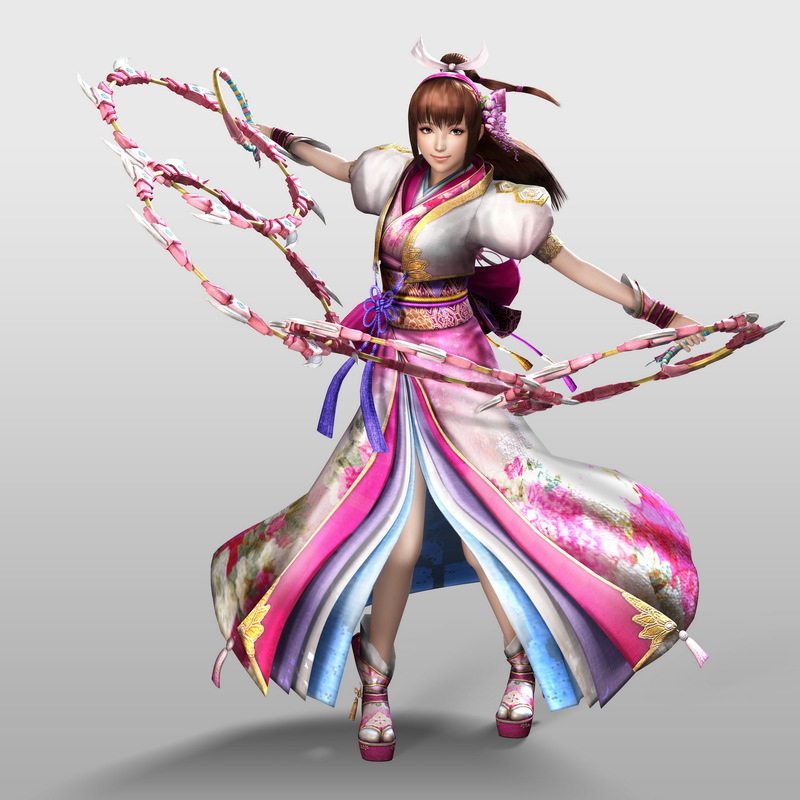 I thought you would be jamming like in Samurai Warriors, but instead you have a bunch of different flashy moves. Each character seems to be assigned a color, so mostly everything about that character is that color. Each battle feels fresh, different, and new. There is even a battle where you just race someone and fight them at the end. Not what I was expecting at all. Thoughts/Comments: I almost like this game a bit better than Samurai Warriors. 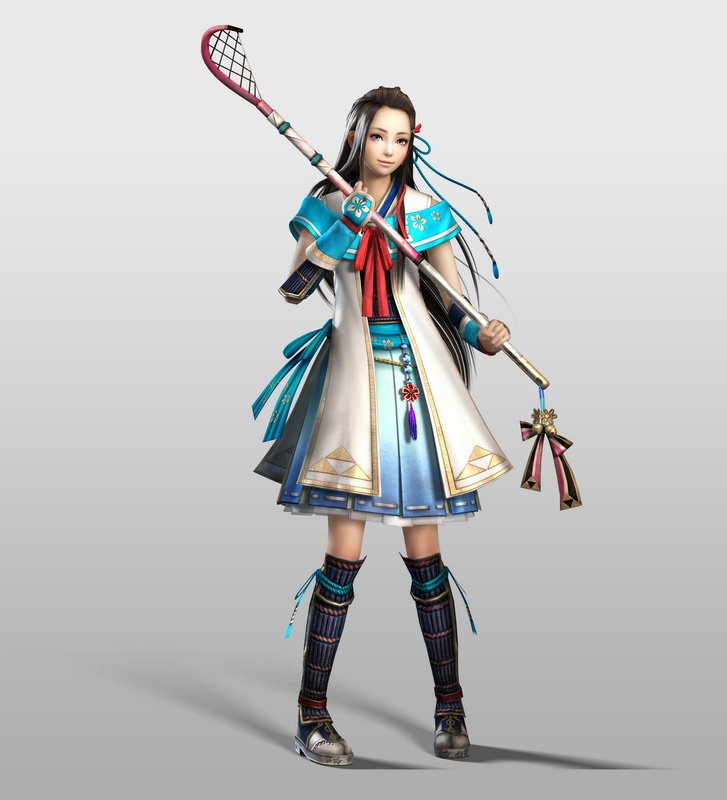 But, I do like a lot more characters in Samurai Warriors. This game surprised me more on what you can do. I really underestimated this game. The dialogue is hilarious and not serious at all. Each battle has something different for you to do. I thought this game was easy at first, tearing through the ranks on Normal. So, I decided to try the Hard mode, and boy, did I die a lot as my strongest character. I wish Sengoku Basara did better over here, because I would love to play the new one and see what new mechanics they put in it. But, this game is probably the first and last well done one for the West. Capcom confirmed no more Sengoku Basara for the west. The voice actors for each character are well done and fit them. This game has reached to be one of my favorites. Nerdy Thoughts: Each battlefield is colorful and each character moves smoothly through the fights. I had a freezing problem with the game at first, but it ended up being my disk. This game does not freeze at all in fights now. The only downside is they cut off a lot of dialogue to show cutscenes of doors opening and such. This game has amazing music. I don't know what attracted me to the soundtrack, but it is great. Really pumps you up for each fight. Seek's Rating: 4.5/5 Great game! But, you need some Samurai knowledge to fully enjoy it. Story/Concept: This game has a pretty simple plot. Evil guy randomly places all the Dragonflies across the earth and you have to get them back and stop him. You play Spyro, a purple dragon with his own Dragonfly companion, Sparx. You can run, jump, blow up to four kinds of breath, ram, glide, and more. You can fly in certain areas, but only there. You explore the color world gather cute dragonflies. You might be thinking, wait....isn't Spyro from Skylanders? Absolutely NOT! He originated from his own series, then went to 'The New Begginning' saga, and then to Skylanders. I personally like the original Spyro the best. Gameplay: It's a hardy platformer for younger children. I got stuck in this game a lot when I was younger, but replaying it now when I'm older, it's quite easy to navigate through. The gameplay is fun to play and it's cool going through each area, solving each puzzle. The characters are cute, silly, and fun. It's not like razor sharp fangs and claws of Skylanders. Thoughts/Comments: After this saga, I think Spyro should of ended it's legacy. I feel like he is just a toy that many developers ruin now. I loved this game when I was younger. Since purple is my favorite color and I liked mythical creatures, Spyro was perfect for me. But, the gave him this jerkish attitude in The New Beginning that turned me away from him. I have no words for Skylanders, since I have never played it, but they probably changed him again in that. Now, back to the game, I played this game a lot. I never got far, but I still loved it. But, now I do see some flaws. The graphics are a bit cheesy, and the plot is very simple. None the less, this purple dragon was one of my many heroes in my childhood. Nerdy Thoughts: The game looks nice, but the graphics are not as good since it is on a PS2/Game Cube. Also, I encountered a minor glitch where part of the enemy stretches out in a funky fashion. It doesn't change any of the gameplay, but it is annoying to look at. Seek's Rating: 3/5 stars. Fun for the kiddies. Story/Concept: Like every Pokemon game, you enter the world of Pokemon as a new trainer, this time just moving to the Hoenn region. You have to help the professor and he gives you a Pokemon as thanks. Embark on the journey in Hoenn to become the Champion and to defeat the treacherous teams, Team Aqua & Team Magma! Gameplay: An Role Playing Game that lets you train up to over 300 Pokemon. Each has their own moves, abilities, and looks. The battling is an advanced system of Rock, Paper, Scissors. You explore the Hoenn region which is half made up of water. That's a lot of Surfing to do! Thoughts/Comments: I played this game once before, but I hated it. Hoenn didn't sit on the right foot with me. Now, replaying it makes me say that Hoenn is much better than what I thought it was. I play it to get ready for Pokemon Omega Ruby and Alpha Sapphire. I hope they keep a lot of things the same in Hoenn. My team was also really great, each with a 'gag' nickname such as Hot Wings the Blaziken. 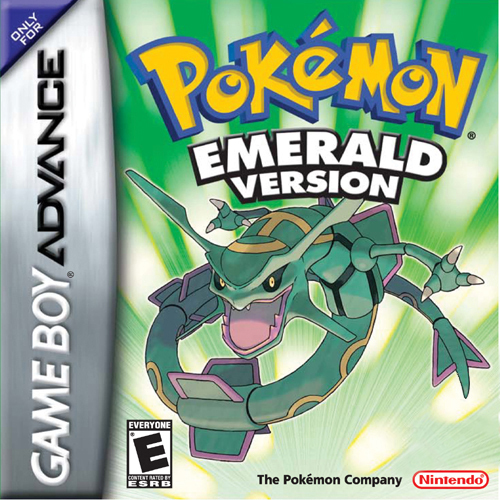 This is one of the highest exclaimed Pokemon games, I recommend checking it out if you haven't, and/or if the new games are like this one, check those out. Nerdy Thoughts: The game was on the Gameboy advanced, so the people look a little cheesy and designs are reused a lot. I say these graphics have only aged 'okay'. They are not the greatest but not the worse. Seek's Rating:4.3/5 Little flaws, tons of fun. 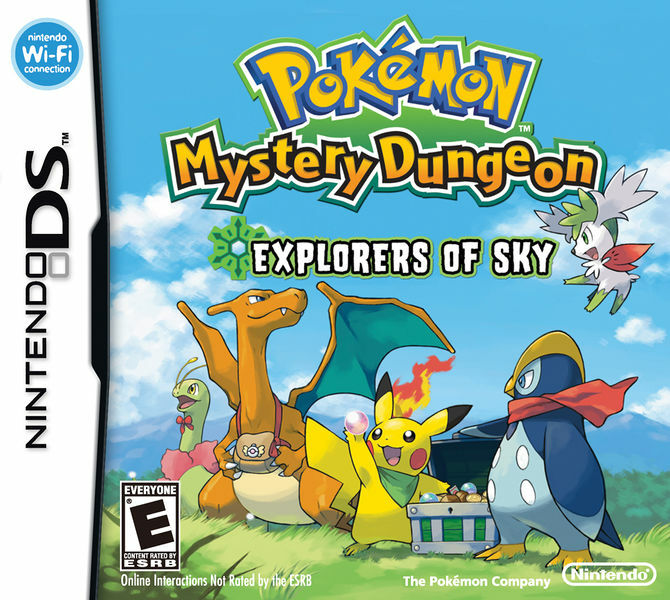 Story/Concept: Pokemon Mystery Dungeon: Explorers of Sky is a rouge-like dungeon crawling game. Each floor is randomized, even if you enter the same dungeon. The basic story is that you were turned into a Pokemon and your partner finds you passed out on the beach. You lost your memory and decide to help your partner. You form a team to help other Pokemon and the story opens and unfolds. You learn about past, present, and future. Gameplay: This is game takes the battle mechanics from Pokemon and turns them into a dungeon crawler. You fight your way through each dungeon. You can also pick up items and use them or gain new team members from the native Pokemon. When you aren't dungeon crawling, you can interact with other Pokemon in the town. You can also store and buy items and whatnot. More mechanics will be available as you progress, including evolution. Thoughts/Comments: Coming from someone who has played ever genre of Mystery Dungeon (I only get one version of each. I got Red Rescue Team, Explorers of Darkness, Explorers of Sky, and Gates to Infinity) I have to say this is the best one. The story is very compelling and deep for a Pokemon game. The choice of Pokemon to be and to have your partner is the best in this game. So, you can follow your nature or whatever you like. I really liked this game. Nothing was too confusing to figure out, but still posed a challenge. You get to know the townsPokemon and your fellow teamates. I say I really enjoyed this game. Oh, and it has a pretty great Post-Game. It's long, too. Nerdy Thoughts: Okay, the graphics are not the best. They looks like the graphics from the other game updated. But, they are cute and work. Everything is alive and moving, even if they are just pixels. There are no glitches that occur either, even with the randomizer. Seek's Rating: 5/5 Nice, cute, and compelling. Hey I actually kinda completed something! Story/Concept: You fall out of the sky and your fall is broken by none other that a dragon! With a wiped memory and a bump on the head, you become the Prince/Princess of the town of Selphia. The dragon turned out to be one of the Native Dragons of the world. There are four of them and they act like god-like creatures. 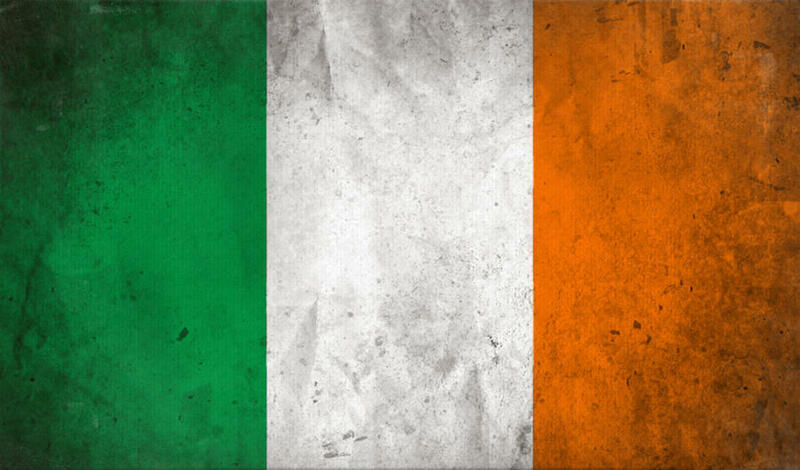 They care for the Earth and look after people. Enjoy yourself in Selphia by creating relationships, farming, dungeon crawling, and much much more. Gameplay: A very free roaming RPG. This game is one game I like to call a 'Do Everything You Want' RPG. There is so much to do from cooking to befriending monsters. It takes a lot of elements from other games I like and put them into one. The story is a nice add on to the gameplay. I have enjoyed it a lot. Thoughts/Comments: A game I got totally blind and it blew me away. You don't need to play any past Rune Factories to get this one I heard, and the rumors are true. I understood the story completely without playing any other Rune Factory. This game can be play as fast or as slow as you want. The characters are very well developed and you can even marry one! I have yet to marry, but I'm hoping to do so in the future. I recommend this game to any RPG fan out there. 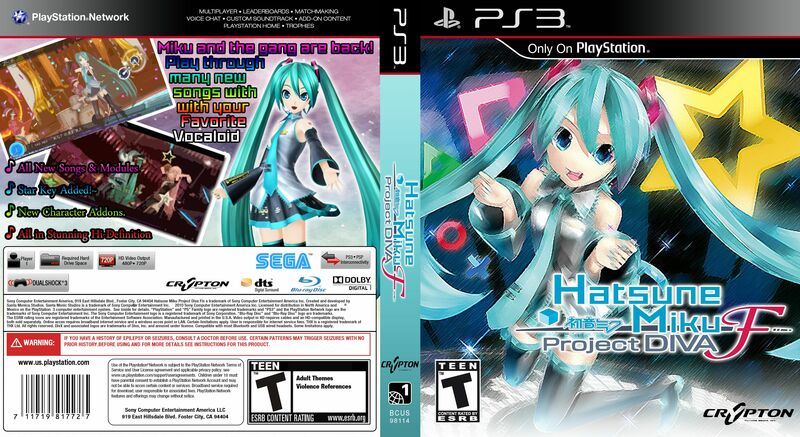 This is a must have for 3DS. Nerdy Thoughts: The game does not have the best graphics, but that is because of the 3DS. Besides the limitations, everything but the characters, monsters, and items is like a drawing. The art style is cute and very stunning to look at. There is also a hint of Anime in the game. The opening sequence is in Anime Animation and everytime you talk to a new character, they open up with an Anime sequence. Seek's Rating: 4.8/5 Stars. Cute, FREE, and heartwarming. Well, I have some reviews in mind to do! Story/Concept: Jump into the Warring States Era of Japan and control some of their greatest leaders and warriors! Take the stories by the clan or create your own character and go for broke. Take on millions of enemies with one weapon and wipe the battlefield clean! With your own character, befriend the leaders of Japan and gain them as allies. Learn about each Samurai with the Biographies function. Somewhere hidden in each map, there is a hidden weapon. If your lucky enough, you might be able to acquire it and sweep the battlefield with even more style. Gameplay: Hack-N-Slash all the way. You are pitted against a thousand to one. You move smoothly through the battlefield completing missions as they come up. In easier terms, button mash your way to victory! The missions can sometimes be very challenging, and you have to coordinate between two characters to get the job done. If the controls aren't your fancy, you can change a lot of them in options. Thoughts/Comments: The best Musou game I've played. The soundtrack, maps, and speed was very nice. Except, the speed of the messages popping up was a little slow for my taste. One map I was just running around waiting for all the messages to go through. The maps are not dull but filled with lots of color. The characters are developed nicely, even if it just had English subtitles. 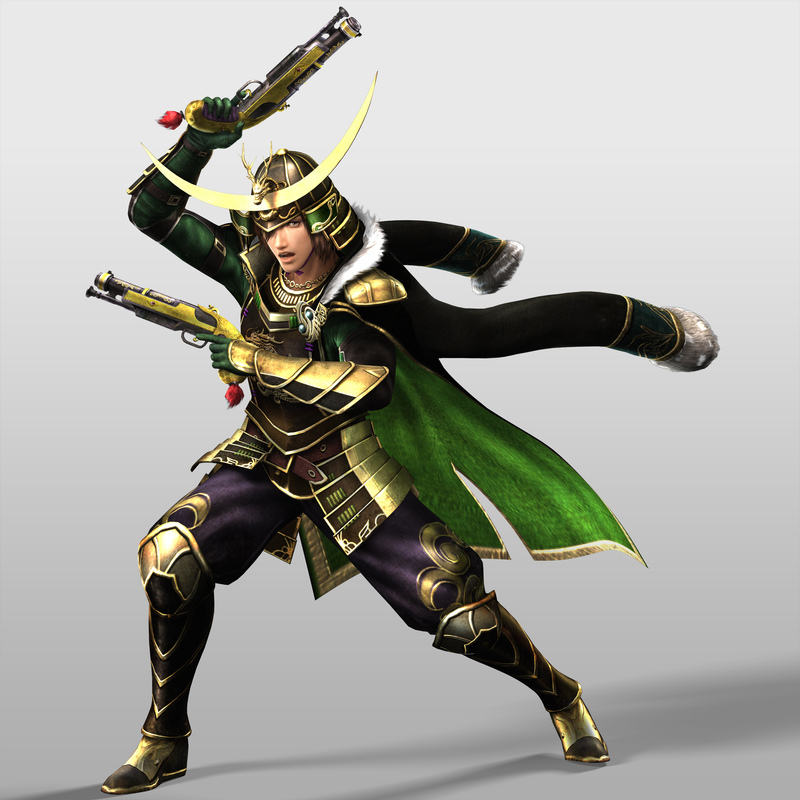 Just on a personal side note, this is my favorite Masamune Date playstyle yet. The new attack, hyper attack, just suites him well. Also, they pumped up the bullets. More bullets equals more fun! The horse animation isn't sluggish anymore, which really helps. However, they forgot to draw a barrier around the front of the horse, and that part can go through walls, gates, etc. The customize character is very flexible, with over 60 hairstyles to choose from. The clothing, however, isn't as flexible, but it's decent. I had so much fun playing this game so far It was worth the wait. Only major downer is English Subs..
Nerdy Thoughts: The two-player split screen had all the problems so far. I tried Online Mode, and it's only a little laggy, depending on who you are playing with. It's just annoying that you have to reconnect with the person after every match. The message log can get a little slow with the messages at times and sometimes the screen split will cut off an important warrior's name, if your on the bottom screen. Besides that, the characters look smooth and battle flows very nicely. 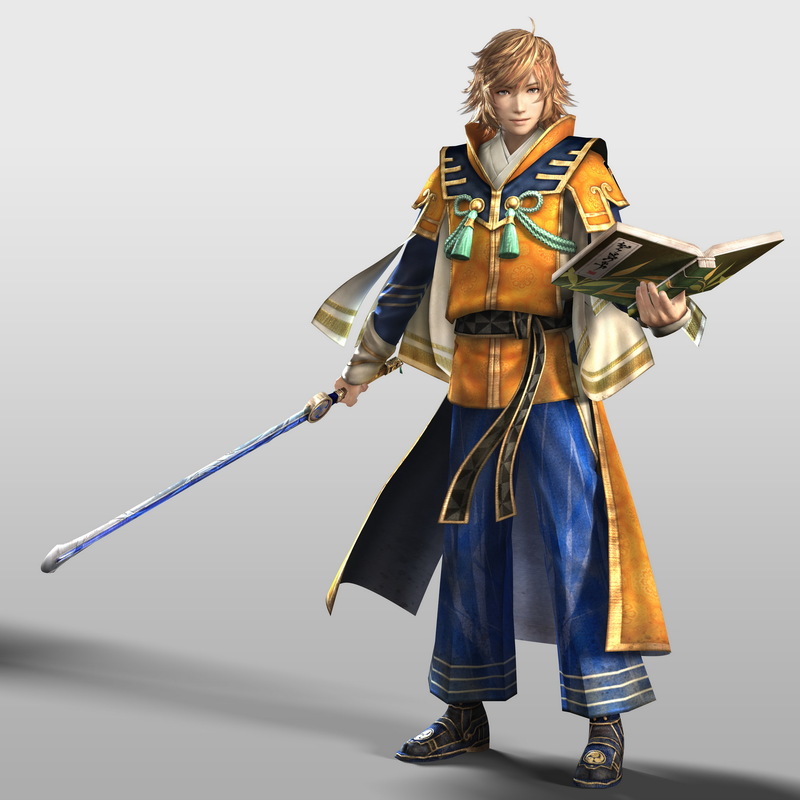 Just don't leave me with Masamune on the battlefield. I almost glitched out the game, I was going to so fast, lol. Seek's Rating: 4.6/5 The hype was real (For me at least). And as a bonus, let's share my favorite characters from the game!